Then someone honked their horn... Okay, so I’m in Richmond, Virginia sitting in my Honda Clarity™ in traffic on I-95 north headed to the airport to pick up my mother in law. It’s what’s between my foot and gas pedal that elevates my humble hybrid into a $460,000 high performance vehicle hugging the tight curves of one of Italy’s most challenging and breathtakingly beautiful roads. The Amalfi Driving Shoes put you behind the wheel of your dream car no matter what you’re driving, and turns the mundane drive into something just a bit more exciting. 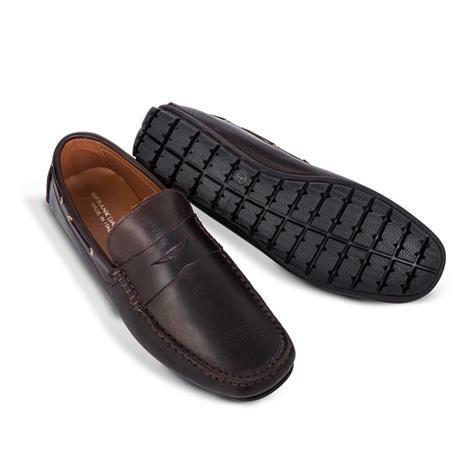 Made in Italy by artisanal designer Frank Daniel, these are the world’s most comfortable driving shoes. Made from famously soft-to-the-touch Nappa leather, which is sourced and tanned in Tuscany and then constructed in the moccasin style, where the sole is extended over the toes and joined by a seam. These comfortable and durable shoes feature 14 rubber treads on the sole, providing perfect grip on the pedals. This is top gear to help you accelerate your driving style and make everything about driving a dream.